WHERE can you find jewellery, candles, T-shirts, soaps and art on wheels? At Queen’s Royal College’s (QRC) A Royal Christmas Car Boot Sale tomorrow. 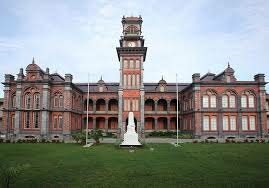 The sale, being held at the school’s grounds, St Clair, is being done to aid its infrastructural projects such as painting of the west block, refurbishing of the prefab building on the south block and other general items such as fans for the science labs, and tables and benches to improve seating accommodation for students. Apart from door prizes to be won by both patrons and vendors, QRC’s Royal Santa will be there and face painting for children. The school’s parang band – that recently won the Junior Parang Championships– will do a special performance. Entry is free. Reply to "A Royal market on wheels, QRC raises funds for projects"